Lorna and myself are taking a Mandarin course (at the SCCCI ). 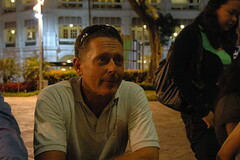 We went out for drinks recently as it was out teacher's birthday. 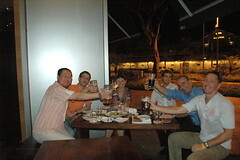 We went to Brotzeit , a German bar, not far from our class and introduced George (or Zhao Qi ) to some German beer. 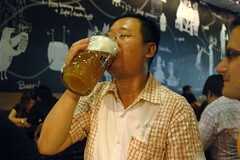 Obviously he had to have a Mass (one of those 1 litre beer glasses).